Every year the U.S. sees thousands of criminals commit crimes with firearms. At the same time, law-abiding gun owners, rather than abuse their Second Amendment right and cause harm, use theirs to protect themselves, loved ones, and even strangers. But how many times does a "good guy" with a gun stop a "bad guy" with (or without) a gun? In a recent article published in The Washington Post, writer Christopher Ingraham attempts to answer that very question. After quoting National Rifle Association Executive Vice President Wayne LaPierre's "The only way to stop a bad guy with a gun is with a good guy with a gun," Ingraham argues that people "rarely" use guns in acts of self-defense. "The challenge to that argument is that, data show, guns are rarely used in self-defense -- especially relative to the rate at which they're used in criminal homicides or suicides," he states. Ingraham bases his claim off of a report on gun violence by the Violence Policy Center, a gun control advocacy group, and 2012 homicide data from the Federal Bureau of Investigation (FBI). Based on the data and his calculations, Ingraham presents what appears to be a troubling find. For every "justifiable homicide" in 2012, which the FBI defines as "the killing of a felon, during the commission of a felony, by a private citizen," there were 34 criminal homicides. That works out to one justifiable gun death for every 34 unjustifiable gun deaths. Or, look at it this way. Centers for Disease Control and Prevention data shows that in 2012 there were 20,666 suicides by gun. That works out to one self-defense killing for every 78 gun suicides. CDC data show that there were more than twice as many accidental gun fatalities as justifiable killings. The vast majority of gun owners are responsible citizens, not criminals. But does the data really show what Ingraham claims? That "guns are used far more often for killing than self-defense"? One of the problems with Ingraham's analysis is that he narrowly defines self-defense with a firearm as when a gun owner shoots and kills a criminal. By using this narrow definition, Ingraham -- either purposefully or accidentally -- ignores acts of self-defense which include a criminal being scared off by the presence of a gun (whether it's fired or not) or when a criminal is injured but does not die. In a U.S. Department of Justice report in May 2013, the Bureau of Justice Statistics (BJS) published its National Crime Victimization Survey (NCVS) that offers "estimates of nonfatal violent victimization." Interestingly, the Violence Policy Center references this data in its report but doesn't give it any credence, and Ingraham doesn't mention it in his analysis at all. 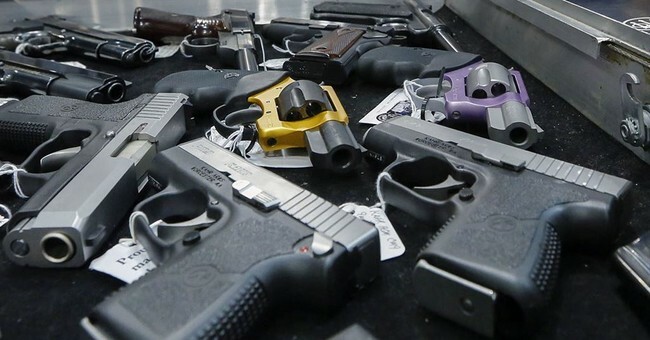 The NCVS data show that, from 2007 to 2011, a little more than 29.6 million people fell victim to a nonfatal firearm or non-firearm violent crime. Of those 29.6-plus million people, 25 percent, or 7,430,800, sustained some form of injury, whether it was "serious," "a gunshot wound, broken bone, or internal injuries," or "minor," "bruises or cuts." To break it down even further, of those 7.43 million people who sustained an injury, 510,700 people, nearly seven percent, were nonfatal firearm victims and 6.92 million, just over 93 percent, were nonfatal non-firearm victims. But of all the 29.6-plus million victims of a nonfatal violent crime during those five years, how many used a firearm to defend themselves? According to the NCVS data, 235,700 victims, about one percent, used a firearm in self-defense to "threaten or attack an offender," an average of 47,140 people each year. Over that same five-year period, FBI homicide data shows there was an average of 9,268 gun homicides each year. If one replicates Ingraham's method of calculation, the data shows that over these five years, for every murder carried out with a firearm, five people defended themselves with a gun, regardless of whether their attacker had a gun or not. Another problem with Ingraham's and the VPC's analysis, as Crime Prevention Research Center founder and president Dr. John Lott explains, is that the VPC has a track record of misrepresenting data when it compares gun murders to justifiable homicides. Dr. Lott also states that instances of justifiable homicide appear to be low because law enforcement often fails to record these cases properly. "...Most jurisdictions don’t report these numbers and even the ones that do so are missing lots of cases. It is very bad for police (only about 1 percent of police departments report justifiable homicides by police and see also here), and the numbers are even worse for civilian justifiable homicides," Dr. Lott wrote in 2017. "Also, while more than half the states report a justifiable homicide number, that hides the fact that very few jurisdictions within those states that report the number actually compiled the numbers," he continued. Ingraham's claim that "guns are used far more often for killing than self-defense," based on the above data, is just blatantly false. It's undeniable that gun violence is a problem in the U.S. But the various gun control measures proposed in Congress, as well as in state legislatures across the country, do more to curtail the Second Amendment rights of law-abiding gun owners than prevent future acts of gun violence. Politicians must take into account all available information before considering any new gun-related proposals. That includes the fact that a firearm in the hands of a law-abiding gun owner can save and protect lives. Editor's Note: This story has been updated with additional information from the Crime Prevention Research Center.